Wow! 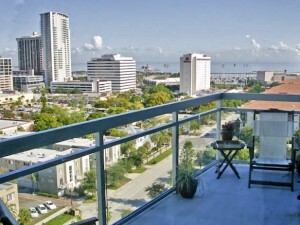 One of the most spectacular views of downtown St. Pete from this penthouse suite at the “Sage”. The 12ft. soaring windows & sliders from the master & living room provide breathtaking views in all directions! The interior is finished to the highest standards throughout! The spacious open floor plan is perfect for entertaining & the bonus office/fitness room adds greatly to this desirable unit!